Now in its eighth year, it’s wonderful that we are able to continue to support brand-new, unpublished picture book talent through the award, and to provide a platform for rising stars in the illustration world. Our picture book publisher Deirdre McDermott heads up the award with Creative Director, Ben Norland, alongside Course Leader, Shelley Jackson of the Cambridge School of Art. Through the award, Walker has discovered a wealth of outstanding new illustration talent, and we've loved working with the winners to create fresh new picture books to share with children everywhere. Since the inaugural award, we have gone on to work with eleven Cambridge graduates who have sold books in over fourteen countries worldwide. Sebastian would have been 77 this year, and we’re so proud to honour his legacy by continuing to seek out exciting new artistic talent in his name; artists that create books which children ask for again and again. This years award was presented on the 13th February to Al Rodin. 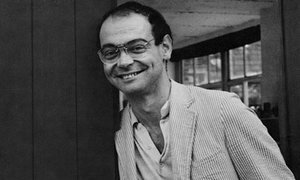 Sebastian Walker founded Walker Books in 1979, aged 37, and established our US sister company, Candlewick Press, just over ten years later. He died in 1991 having achieved something truly remarkable and having changed children’s publishing in the UK forever. He started the business from his own home with a handful of colleagues and a bank loan, and a decade later, Walker Books was publishing over 300 titles per year, including classics such as Where’s Wally? by Martin Handford, Can’t You Sleep, Little Bear? by Martin Waddell and Barbara Frith, Five Minutes' Peace by Jill Murphy, We’re Going on a Bear Hunt by Michael Rosen and Helen Oxenbury, and Ten in the Bed by Penny Dale. As someone who loved the idea of family, Sebastian Walker made his own family when he established Walker Books. Anyone who has worked for Walker will know that we often refer to it as “the Walker Family”, and anyone who has visited a Walker Books Group office – whether that be in London, Boston or Sydney – will be familiar with the friendly, homely atmosphere we continue to keep, from the thousands of stories that line our walls to the many talented people we work with. If you’re interested in finding out more about Sebastian Walker, we highly recommend A Kind of Prospero, an honest, detailed and touching biography written by his sister Mirabel Cecil, which is still given to every new member of staff who joins us. The title is taken from a phrase Maurice Sendak used to describe Sebastian Walker. I know that my brother, Sebastian Walker, who founded Walker Books nearly four decades ago, would have been incredibly proud of the company as it is today - vibrant and buzzing with ideas: this vibrancy is reflected in their giving this award in Sebastian's memory to an outstanding student at the wonderful Cambridge School of Art. For me it will be an honour to present it to the prize-winner, and to see the work of the other talented M.A students at the exhibition. It goes without saying that illustration brings picture books to life - without great art, there would be no great picture books. As a company we value first time authors (and their editors) with the Branford Boase Award – here with the Sebastian Walker Award we're equally shining a light on illustrators right at the very beginning of their careers. 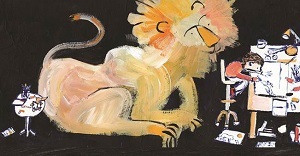 How do you find the next profoundly brilliant children’s illustrator? An illustrator whose pictures touch the hearts of children all round the world? There isn’t one simple answer. What we do know is that in trying to recreate the finest visual storytelling experiences – such as those from Helen Oxenbury, Chris Haughton, Anthony Browne, Jon Klassen, Viviane Schwarz and Jean Jullien, to name just a few – we strive to build mutually rewarding relationships with the best artists, and to enable this talent to flourish in Walker Books’ collaborative, creative environment. We hope that every prize winner, and all the Cambridge graduates, will have a long and rewarding career doing what they love – we cannot think of a better tribute to Sebastian Walker’s incredible legacy. As the new course leader, I have had the honour of working with these sixty-eight students over the last two semesters. They have impressed me with their dedication, creativity and professionalism.